Your gifts provide arts & cultural experiences for all! 171 Cedar Arts Center relies on donors like you to help us further our mission of enriching our community through the arts. Thank you! We invite you to contribute to the 2018-19 Annual Appeal and help us reach our $30,000 goal for this fiscal year. While our funding comes from a variety of sources -- memberships, student registrations, grants, and foundations -- a significant percentage of our annual operating budget comes from our donors. 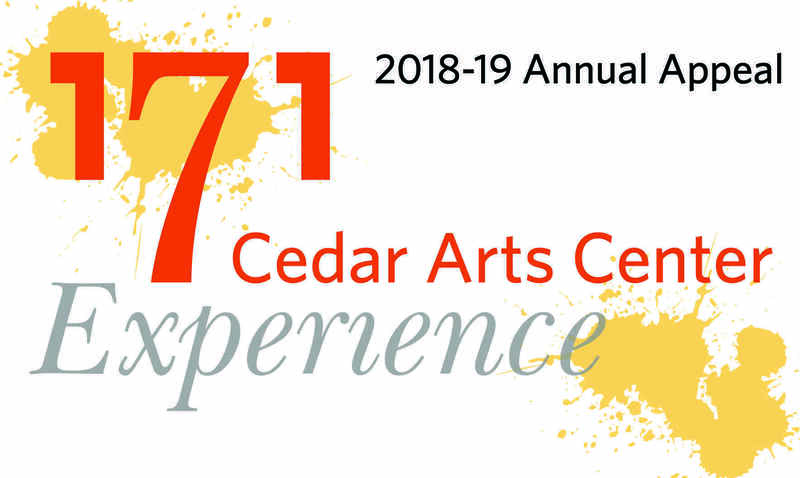 With your support, 171 Cedar Arts Center remains committed to artistic and teaching excellence, to creating new opportunities for artists and students from near and far, and to serving as a cultural asset within our community. We opened our doors in 1968, nearly 50 years ago. Your gifts help us to keep those doors open for future generations of students and artists within our community. We thank you for all you do to support the arts. Won't you consider joining us? Great service to keep classes/programs affordable. I appreciate it as do the grandkids.